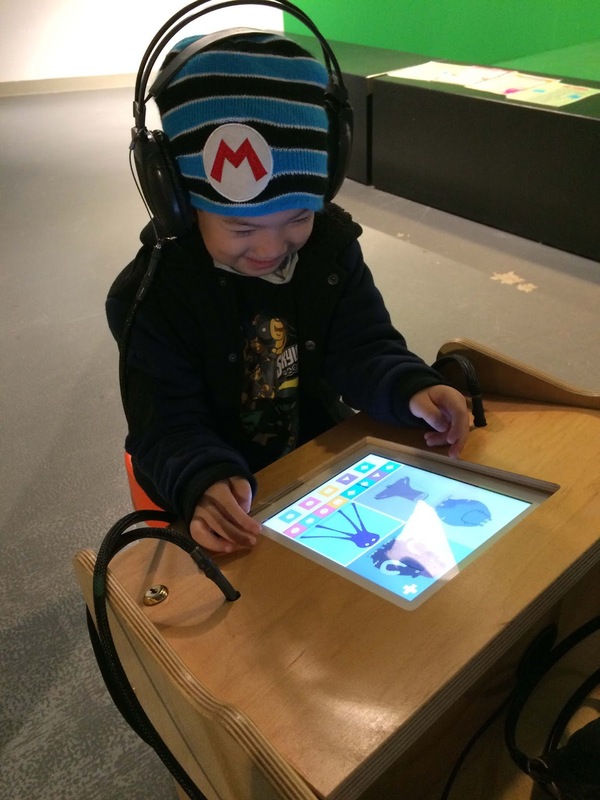 The Children's Creativity Museum in Yerba Buena Gardens is unlike any other museum our family has ever been to before. 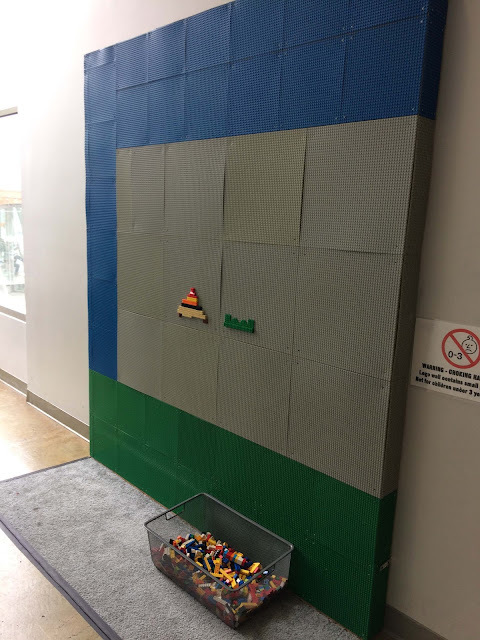 "Creativity" really plays an integral role in this museum, as kids are encouraged to nurture their creative side in every aspect of the museum, whether it's decorating a LEGO wall, building animals with blocks, and molding creatures with foam in the Imagination Lab, or completing an obstacle course in the Play Patio. 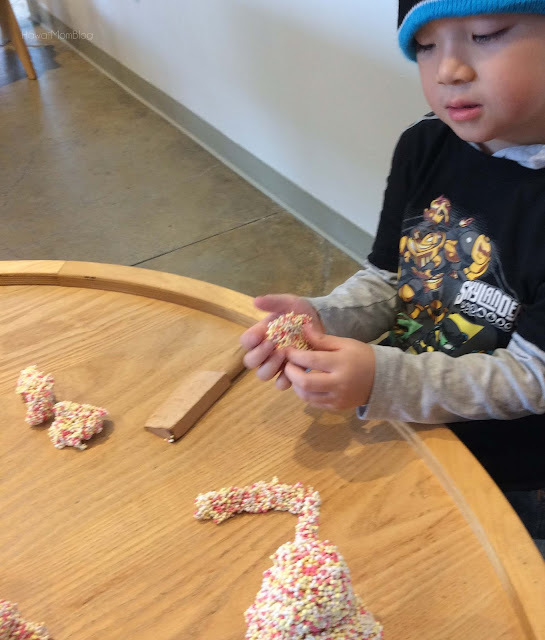 The different labs and studios in the Children's Creativity Museum really allow kids to explore their creative side, instilling a sense of confidence as they accomplish various tasks. 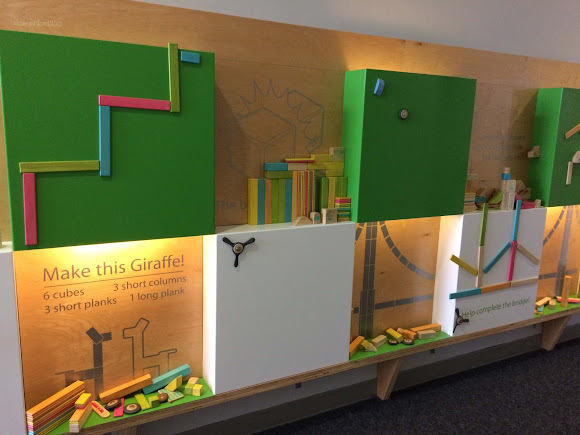 For instance, in the Innovation Lab, kids can participate in a Mystery Box Challenge. 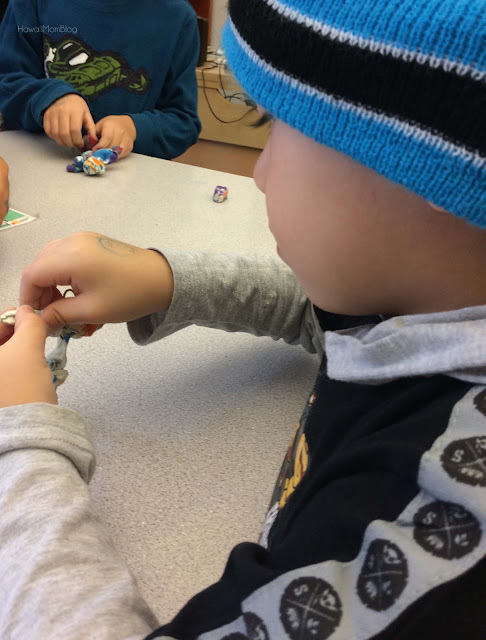 First kids will pick an age-appropriate challenge card, then grab a mystery box full of odds & ends (packing peanuts, fabric, corks, paper, etc.) to create a solution for the challenge. Challenges my kids picked included "A Playground for Elephants" and "An Air Suit for a Shark." Challenges do get more complex the older the child. 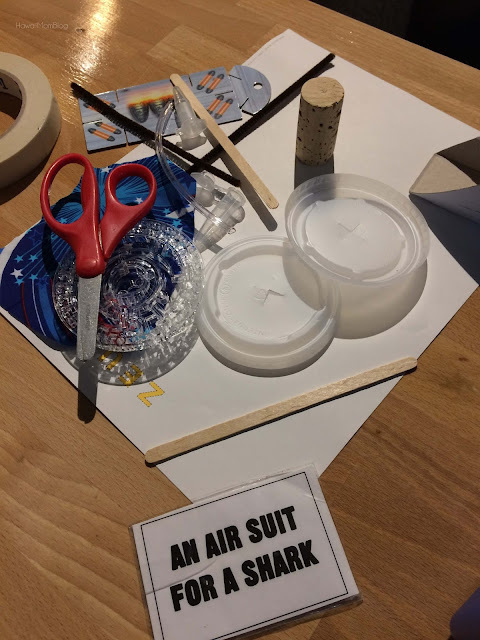 My kids did multiple challenges each, and I loved watching them tinker with the materials and figure out how to complete each challenge. It was fun to see what the kids crafted! After the mission, they could choose to take home their inventions, or leave them at the museum for display. In the Music Studio, we made a music video! 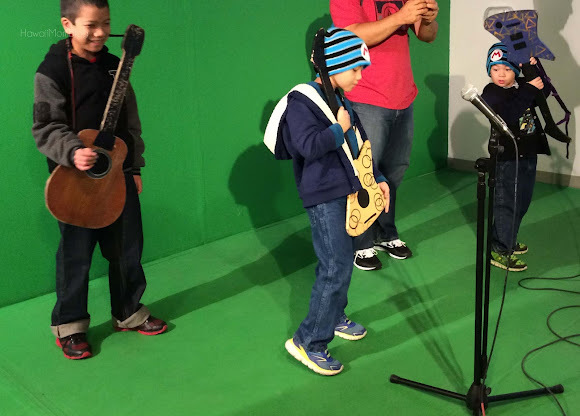 The kids picked a song, chose a background, and grabbed pretend instruments, then we all sang The Alphabet Song in front of a green screen. A copy of the finished video can be emailed to you at no charge, and you can share it with friends and family. What a fun memory! 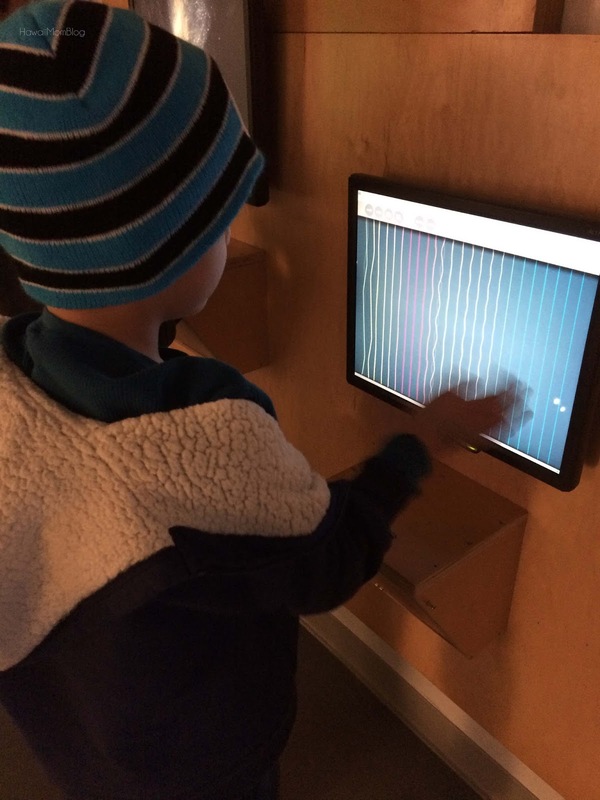 After making the music video, the kids went to explore a couple of the cool stations inside the Music Studio. 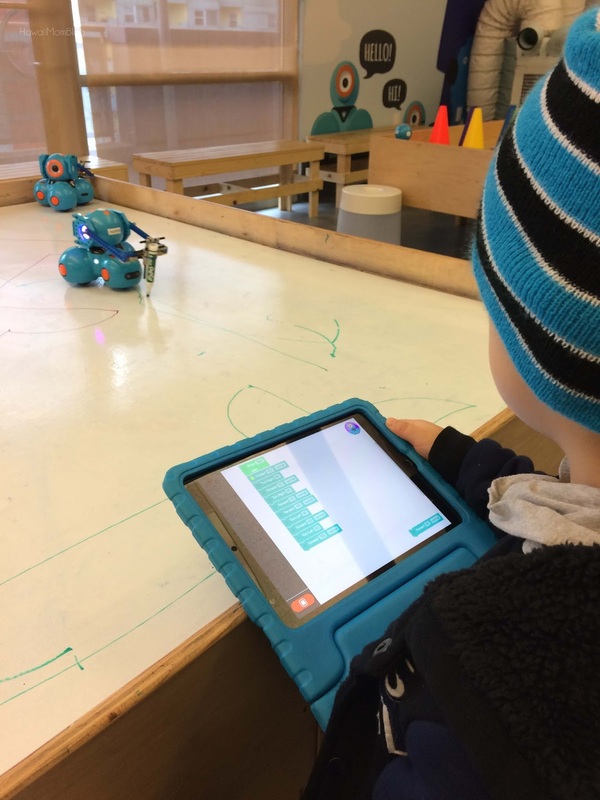 My kids also had a lot of fun in the Tech Lab, where they experimented with coding. 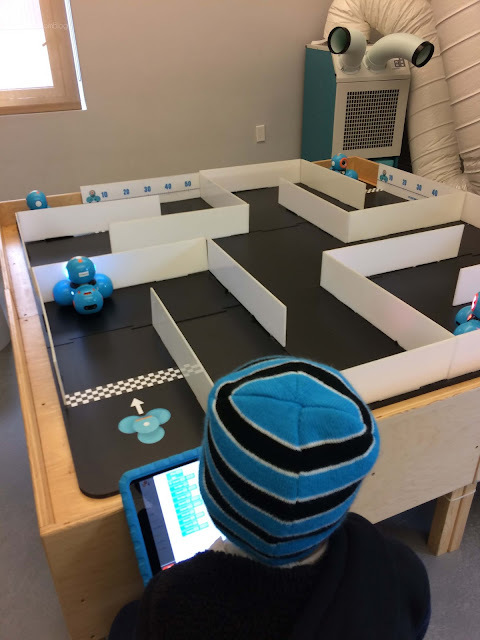 They were tasked with navigating robots through a maze or obstacle course, or having them draw on a table. 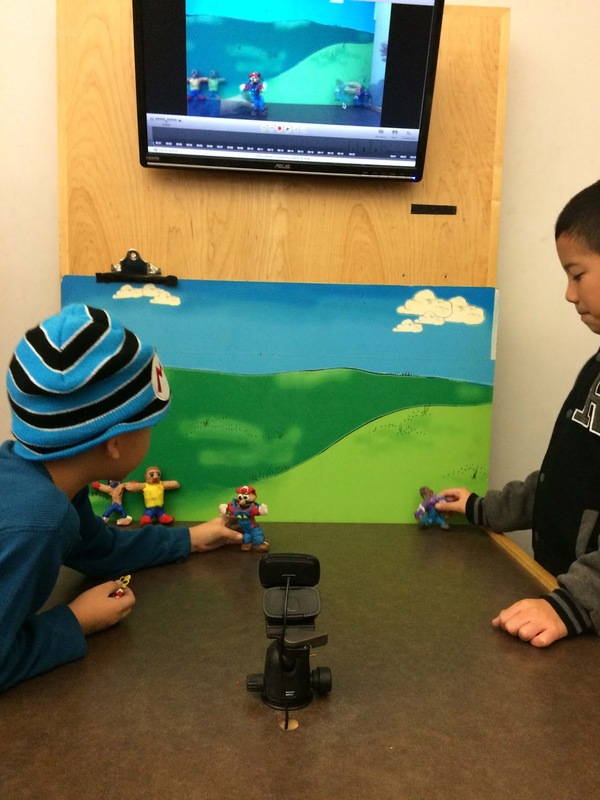 In the Animation Studio, kids are taught how to make clay characters for use in their very own stop-motion animation video! Each of my kids created their own character by applying clay (guts) to a metal frame (bones), and then applying more clay for the skin, clothing, and face. Putting the "guts" on the "bones"
Once everyone created their characters, they were taught how to make the stop-motion animation video. 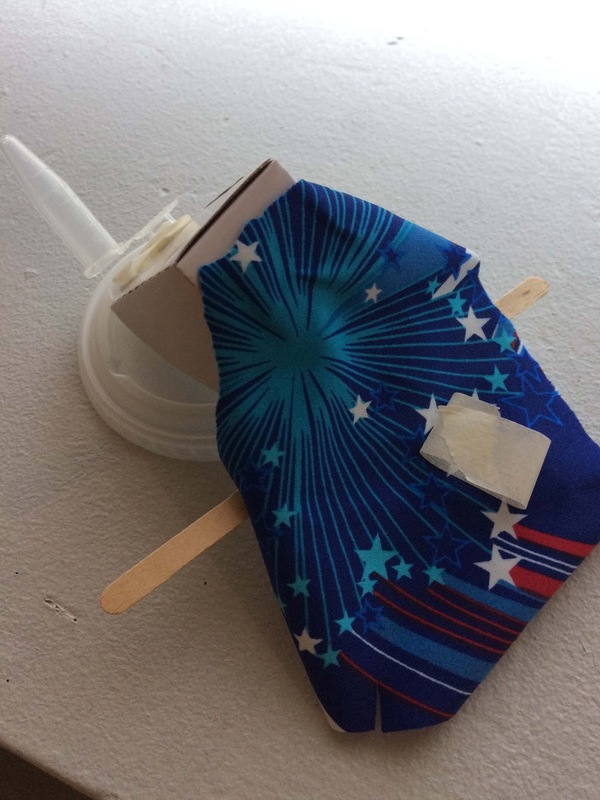 The final video can be emailed to you (no charge), and visitors can even take their creations home (a donation is recommended due to the costs of the materials, but not required). The fun doesn't end when you leave the museum! 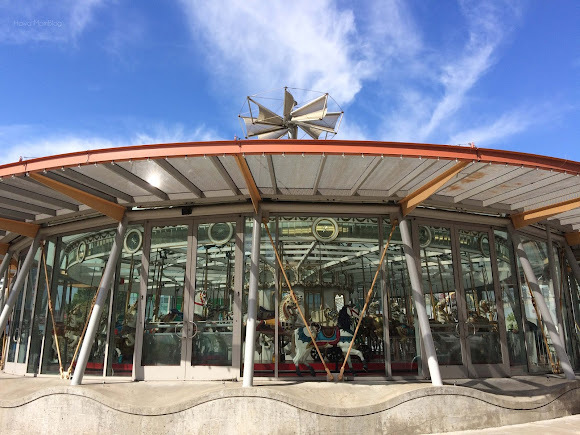 Just outside of the Children's Creativity Museum is the LeRoy King Carousel. Each ticket ($4/person; $3/person with paid museum admission) is good for two rides! The Children's Creativity Museum is such an innovative museum, where kids can put their critical thinking skills to good use to express their individuality and imagination, and it was definitely a highlight of our trip to San Francisco. 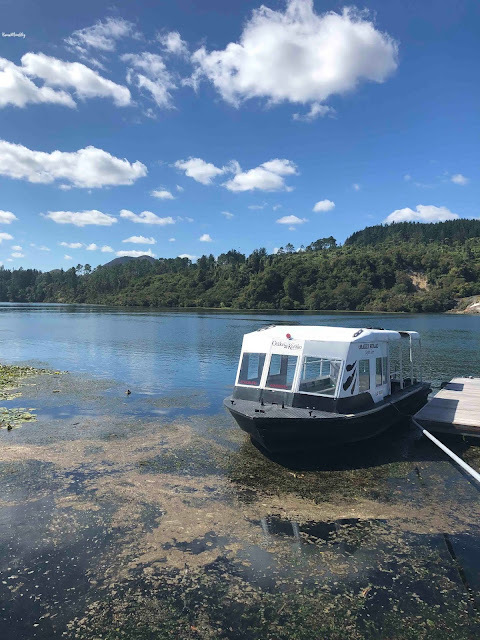 The staff members' patience and enthusiasm only added to our wonderful experience. 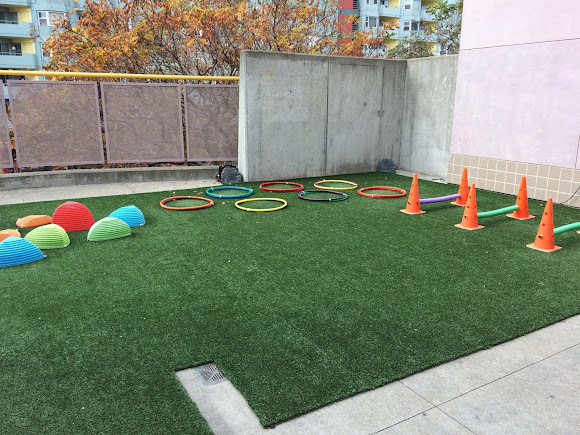 They were all so friendly and helpful, and really showed an interest in nurturing each child's creativity. 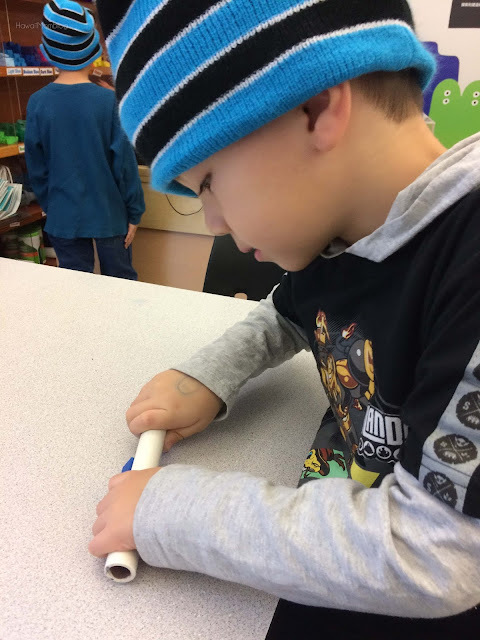 The woman overseeing the Innovation Lab didn't just accept the kids' creations, but she asked about the different parts of the object and why it was made a certain way. 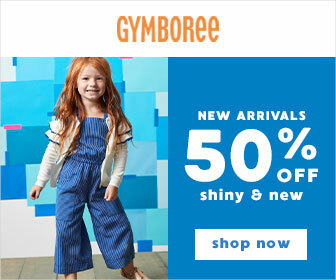 This really helped in building my kids' communication skills. In the Tech Lab, the staff member was so accommodating to my oldest, who has an autism spectrum disorder. My son had difficulty understanding what needed to be done with the robots, and although I never discussed my son being on the spectrum with the employee, the employee was just so patient and kept adapting the course to my son's interests. 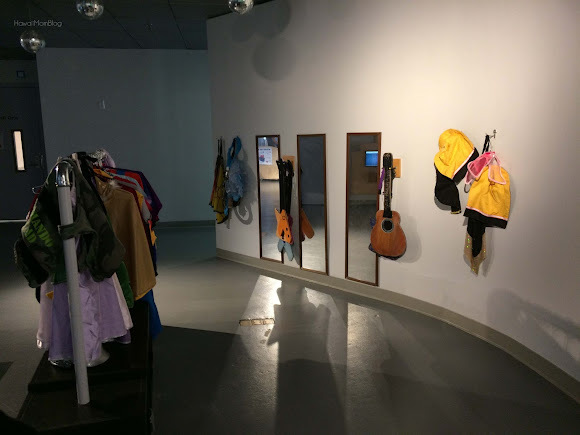 A visit to the Children's Creativity Museum will not only inspire kids, but it will also inspire parents, as they watch their children develop confidence and skills to express their uniqueness. 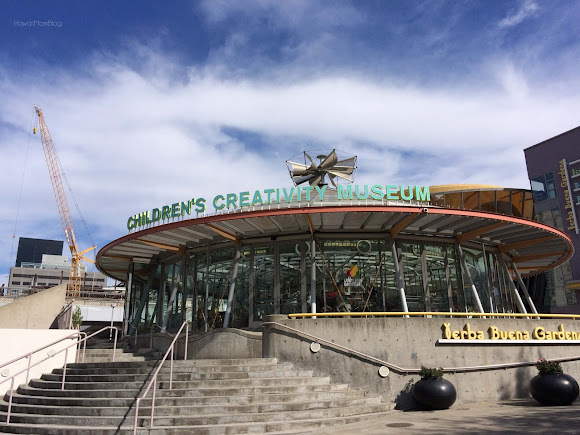 If you're visiting the San Francisco area with kids, be sure to check out the Children's Creativity Museum! We parked at the Fifth & Mission Parking Garage, which is just a short walk from the museum. 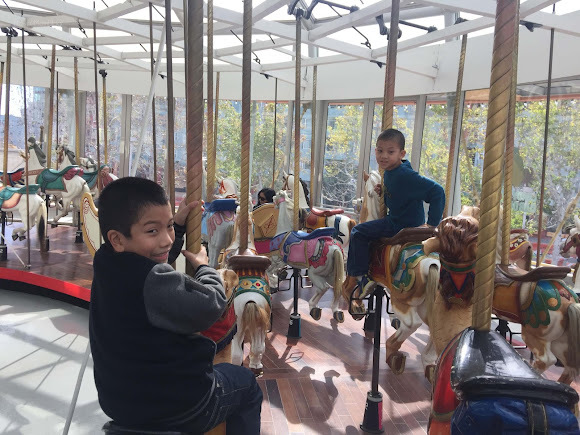 Complimentary tickets for the museum and carousel were received.